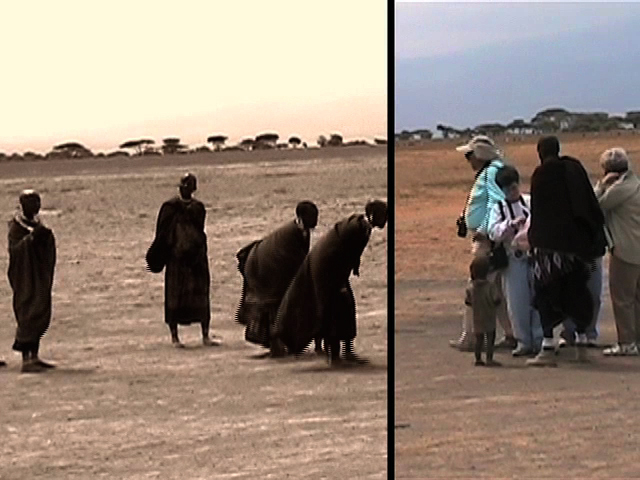 « Crossing over », Format: DVD-NTSC, Time: 4:30 minutes Made, June 2008. Brooke White is both a practicing artist and an educator who received her MFA in Photography from Cornell University. She is currently area head and Assistant Professor of Imaging Arts at the University of Mississippi. White has exhibited nationally and internationally including the Hammer Museum in Los Angeles, Bemis Center for Contemporary Arts and the DiVA Art Fairs in New York, Paris and Berlin. Most recently White’s work can be seen in group and solo exhibitions at Galerie Mamia Bretsche in Paris, France and Dubai, United Arab Emirates. Much of her work, both photographic and video, is created while traveling in areas such as East Africa, South East Asia, South America and the deep south of the United States. White’s work analyzes the ways in which tourism, agriculture, politics and technology effect our connection to the landscape. Through video and photography, my most current work investigates the ways in which landscape and place are created, altered and defined by nature, exploitation and environmentally sensitive development. My most recent project called Delta Constant is a photographic and video study that compares and contrasts the agricultural practices and geographical similarities of several deltas from around the world, including the deltas of the Mississippi River, the Mekong River and the Red River in South East Asia, the Tana River in Kenya and the Orinoco River in Venezuela. On one level, this project intends to capture the beauty of the landscape as well as the physical similarities that are inherent to all deltas; but it also addresses how contemporary land use affects an individual’s connection to place. Delta Constant, is ultimately concerned with presenting delta landscapes, which to the viewer, appear similar and virtually untouched, but in fact are places that endure high levels of human use. I invite the viewer back to nature via the screen, at a time when we are disconnected to the natural world, due to our dependence on technology. I highlight time and speed in our natural world by re-emphasizing it in my videos and photographs, slowing down elements and recording straight, constant views. Through the use of the horizon, I emphasize the similarities found in the landscape to focus the viewer’s attention on the universality of the landscape. This strategy brings the emphasis back to the landscape and provides time for contemplation and analysis of the space. It is my hope to return my viewers to an innocence of seeing, during a time when we are addicted to distraction. « Prospecting », 12 minutes, single channel, DVD-NTSC. 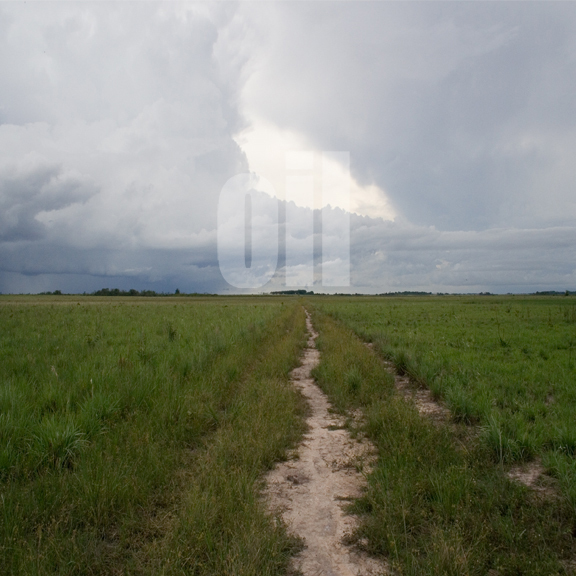 Prospecting is a single channel video that observes delta landscapes from the perspective of a prospector surveying land for future exploitation such as agriculture and oil—using various means. Made: January 2007.